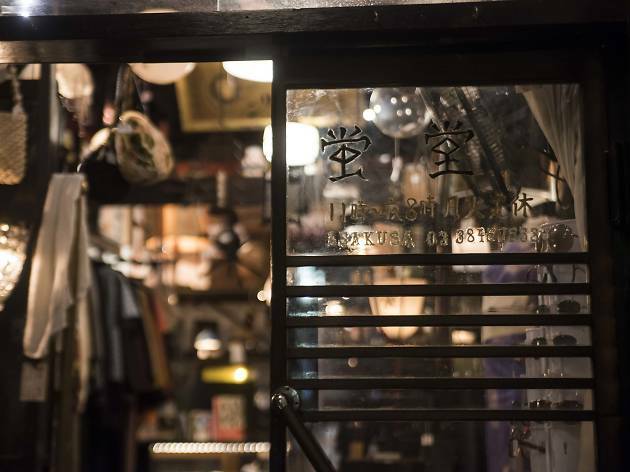 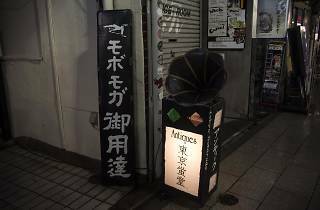 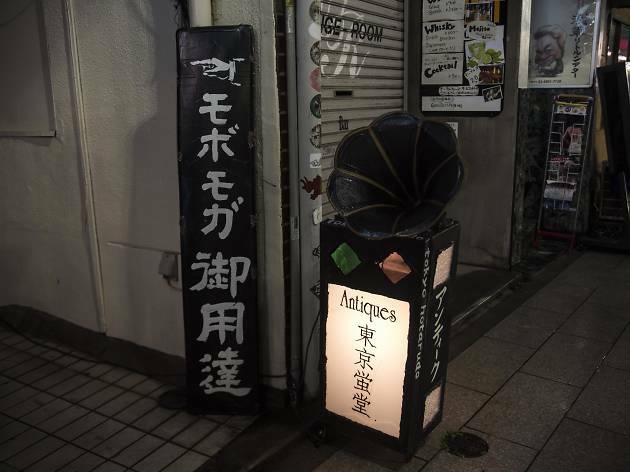 Asakusa's premier antiques purveyor sure stands out on Rokku-dori: the retro sign spells out 'Mobo Moga Goyotashi', a play on the 1920s slang for 'modern boy' and 'modern girl'. Entering the narrow building, you're sure to notice the vintage, barely functional radio playing some long-forgotten tune. 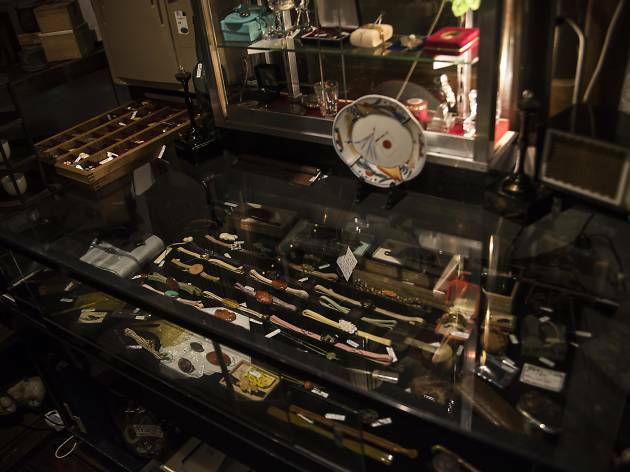 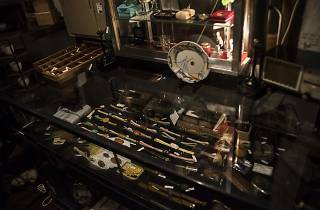 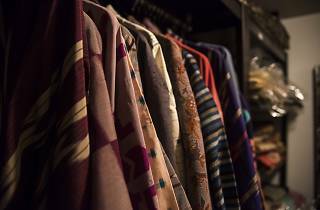 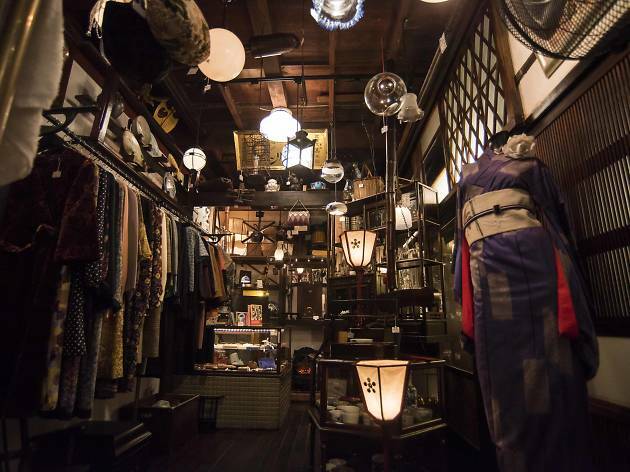 Hotarudo houses a jumble of seemingly random merchandise – mainly from the Taisho period (1912-1926) – including clothing, lamps, kitchenware and even electronics. 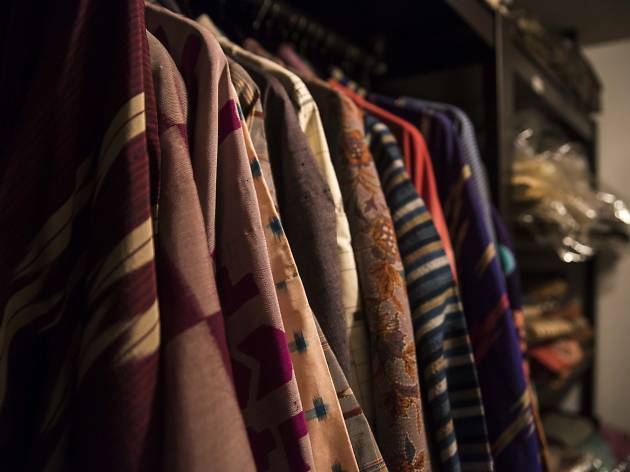 You're allowed to touch everything in the store, and all items on sale are in usable condition (at least that's what they told us). 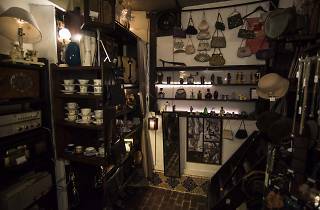 Recycled semi-antiques include lamps that have been upgraded with LEDs and radios that can be used as iPhone speakers. 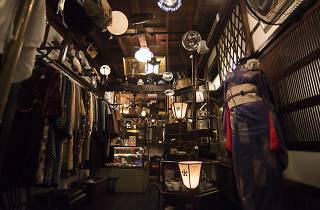 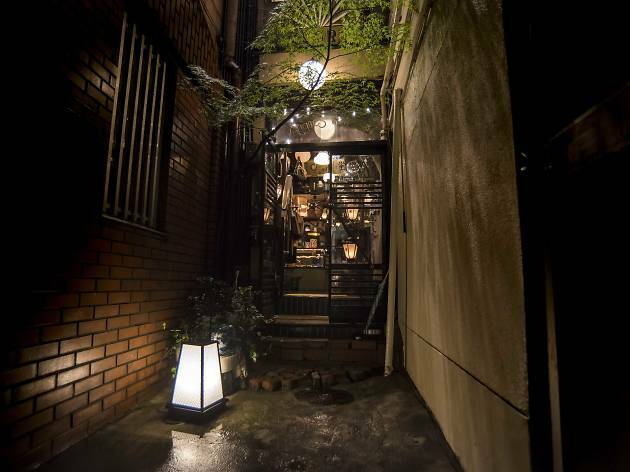 Owned by Mr and Mrs Inamoto, who source gadgets from all over Japan, fix them up and put them on sale, Hotarudo occupies a former dining hall – renovated by the Inamotos themselves, of course. 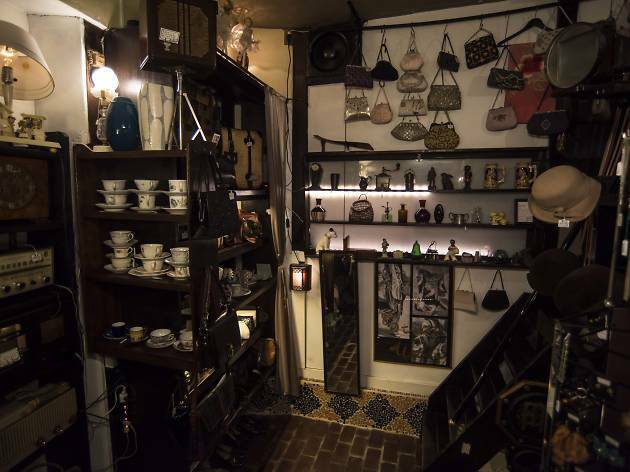 If you're looking to get in touch with your inner 'modern' girl or boy, this shop should not be missed.